Can Violet find lasting happiness with the brother of the man who broke her heart so many years ago? Years ago, Violet Beckett made the mistake of falling for the wrong McKellan brother and both she and her younger sister, Lily, paid the price. Now eight years later, fate has brought Violet and her daughter, Holly, back to the house Violet grew up in. As soon as Violet runs into Charlie 'Mac' McKellan, she wonders if she should run all the way back to the city. But something about the look in his eyes makes her want to linger. Can she trust him, can she trust herself or will she be burned again? Charlie McKellan has had a soft spot for Violet Beckett for longer than he can remember. It almost killed him to watch his brother woo her, use her and finally lose her. From their very first encounter he's hooked. But how can he convince her that not all McKellans are the same? 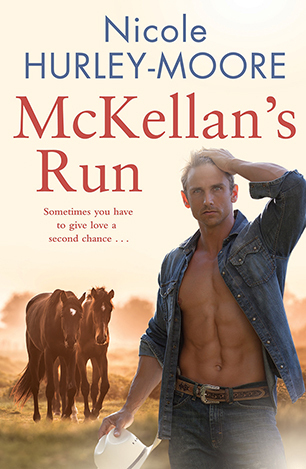 McKellan's Run is an entertaining love story that takes us into the hearts of two very special people who deserve a second chance. An excellent read. If you like Australian Rural Romance I guarantee you'll like this book!